Amazon UK has today put up an entry for My Hero Academia Season 2 Part 1 which is listed under Sony Pictures Home Entertainment as part of their continued partnership with Funimation UK. 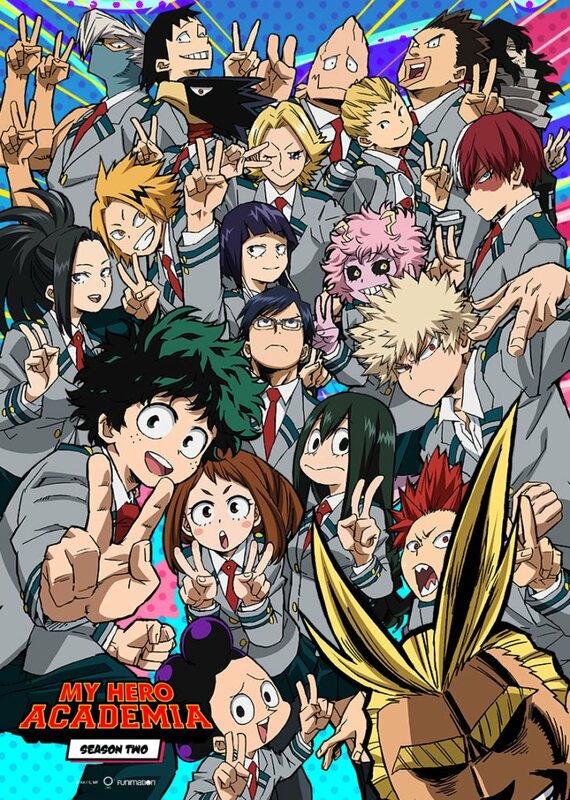 My Hero Academia Season 2 aired in Japan during the Spring 2017 anime season for a total of 25 episodes. The series simulcasted on both Crunchyroll and Funimation for the UK, Ireland, US and Canada. We’ve reached out to Sony Pictures Home Entertainment for comment, and will update this article with any response. The first season of My Hero Academia was distributed by Universal Pictures UK as a limited edition Blu-ray & DVD combo pack mirroring the Funimation US release and is still available to purchase. Sony Pictures Home Entertainment took over Funimation distribution starting 26th February 2018 with the second season of Attack on Titan for Blu-ray & DVD in both standard and limited edition sets. The latest big hit from all powerful weekly manga magazine Shonen Jump!, My Hero Academia turned plenty of heads when it first appeared in anime form in 2016, and the second season only added more momentum to the series’ worldwide popularity. This set collects the first twelve episodes of Season 2, a complete story arc based around a tournament! There’s an original concept! … Seriously though, it’s great. So let’s see why! We’ve Giving Away My Hero Academia Season Two Part One! Don’t miss your chance to win a copy of My Hero Academia Season Two Part One! The second half of My Hero Academia’s second season is packed with examples as to why the show has gotten so popular around the world. Great characters, storytelling and animation make for a series, and indeed a release, that you won’t want to miss!